Today we had a brilliant assembly hosted by the House Captains of St Patrick’s House. 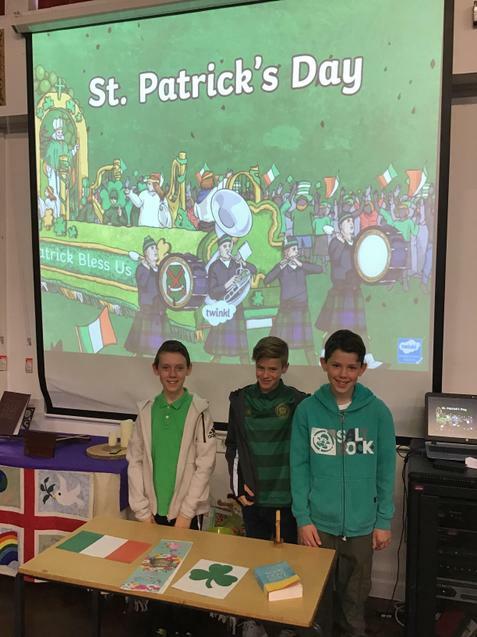 Dylan and Jasper did a fantastic job of explaining to us all about why St Patrick was so important and why so many people make sure they celebrate his life every year on the 17th March. Thank you to the Year 6 boys and to Mrs McVeigh!